May in America means it is Asian Pacific Islander Month! Two years ago I tried to dedicate the month of May to a bunch of content focusing on Asian and Pacific Islander cultures and stories, but I massively failed and only had one post. It was a good post and I'm very proud of it, but I definitely wanted to do more. So this month, I am not trying to commit to a whole month filled with posts every few days, but a few meaningful and informational posts that focus on API people. 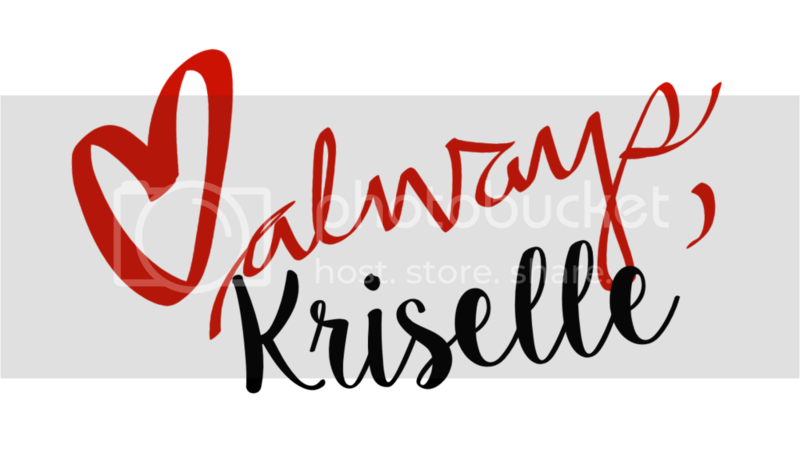 + Aussie Beauty Talk - Half Filipina Aussie blogger who is an engineer by day (wooo yay for women in STEM fields) and a beauty blogger by night. She writes tons of reviews! + That's Heart - Filipina vlogger from America! She does lots of one-brand impression videos and challenges and she's a newlywed like me! I appreciate her because she is more or less the same color as me so swatches on her give me a fairly good idea on what they'll look like on me. + ItsJudyTime - ANOTHER Filipina vlogger that I follow on Youtube! She has millions of subscribers over multiple channels, with itsJudytime being her beauty channel. I first discovered her from my cousins who talked about how she did daily vlogs, and it is her most popular Youtube channel. + Rehan Shrestha - a Nepalese male luxury fashion influencer I met at Sydney Fashion Week last year! He doesn't currently have a website but he has a pretty posh Instagram. + Joojoo Azad - Hoda Katebi is a Muslim-Iranian fashion blogger and activist who originally started getting big as a blogger for very openly talking about wearing a hijab and also posting some really great outfits with one. She's even recently published her first book on street style in Iran! + The Ambitionista - Heidi is a Malaysian luxury fashion blogger who has been featured on magazines such as Marie Claire Malaysia, attended Fashion Week all over the world, and is just all around a very chic and accomplished entrepreneur. + Chriselle Lim - I actually have a very soft spot for Chriselle because one, we have the same name, and two, I've been watching her ever since Michelle Phan used to feature her on her Youtube channel years and years and years ago. She is a Korean American fashion blogger. She is the first fashion blogger I ever regularly followed, before I even realized that if I wanted to I could start a blog/Youtube channel and create content the way she did as well. I even met her almost 3 years ago at a meetup in Newport Beach and she's just as nice in person, which was great because I feel like sometimes super chic-looking people can come off very cold. Although her main focus is still fashion, her Youtube channel also now talks more about marriage, parenthood, and travel as well! + Wendy's Lookbook - Wendy is a Vietnamese American fashion Youtuber, where her most popular video to date is a video called "25 Ways to Wear a Scarf in 4.5 Minutes" with over 39 MILLION views! She doesn't post videos as frequently anymore but she does maintain a blog fairly regularly if you want to check that out. + Mo Explores - Mo is a Filipina American Youtuber living in Arizona but is originally from Hawaii! Her channel features a variety of things: vlogs, planner videos, travel videos, and other DIY things. She is actually one of my favorite people as we've been friends in the blogosphere for about 3 years now even though we've never met in person! I feel like we are so similar which is why I like her so much! + Harper Honey - Harper is a Korean American blogger that I have been friends with in the blogging world since I started 4 years ago. She writes about careers/post graduate life, geek things, book reviews, and many other things like that! She does also occasionally post about social justice issues on social media as well. She's a quirky blogger and I love that about her! + Feast Fashion Faves - Amanda is a Vietnamese American blogger whose blog focuses primarily on fashion, food, and travel. I had the chance to meet and hang out with her a couple of times when I was still living in America. + Leonie Sii - Leonie is a Malaysian/Chinese Australian blogger/vlogger that I actually met through church! I didn't realize that she was on Youtube until one day at our connect group she mentioned that she had surpassed a pretty major milestone of subscribers! She plays videogames, talks about mental health sometimes, travels, and is most well known for her (then) long distance relationship with her Swedish boyfriend, Mattias, that she met after discovering him on Youtube as a videogame vlogger. They have a great story and in general I appreciate her point of view different topics as well! + Darell Gabriel - Now what kind of wife would I be if I didn't give a plug for my husband? Darell doesn't actively advertise his Youtube channel (so he might cringe at me for adding him to this list) but he posts some cool-looking vlogs about life in Sydney and I know he is working on creating more interesting and cool content beyond that. He's always experimenting so check out some of his stuff! + Alonzo Lerone - I don't even remember how I discovered him, but he is HILARIOUS. Alonzo is a black & Filipino Youtuber whose videos focus primarily on bad grammar and general stupid Twitter and Facebook posts. His reactions and tones of voice when reading some of these posts are enough to get me screaming and laughing so hard! + The Episodic Eater - Diane is a really great food blogger that I had the chance to connect with a few times a couple years ago. She is half Filipino and just really really loves food. If you want your mouth to water (and are also located in LA/the OC), she is definitely worth following for more recommendations! + Fung Bros - The Fung Brothers were the first Youtubers that I ever followed that created a significant portion of their content acknowledging their cultures (they're Chinese) and talking about different aspects of it and other issues within the Asian community! Nowadays, they do primarily foodie videos highlighting all different kinds of foods (not just Asian) not only in and around the US, but around the world as well. + Nathan Figueroa - I heard about Nathan through my husband. He is pretty much a body builder who does a lot of food challenges and videos. Depending on the person, some of it may make you feel disgusting but honestly it just amazes me how he eats so much because I wish I could eat that much. A lot of the food featured is fast food so that may be why some get so disgusted by his videos. + Tanaya's Table - Tanaya is an Indian American food blogger based in LA/the OC who goes on some pretty epic food adventures. I pretty much want to eat everything she posts, and she will occasionally get to travel to some cool places and hang out with some celebrities all in the name of food! + Mark Wiens - Mark is a half Chinese food blogger from America but is now based in Southeast Asia with his wife (Thailand to be exact). Although most of his Youtube channel involves travel, the main focus is food and how it intersects with travel and showcasing different cuisines. + The Warrior Husband - This blog was started by our really good family friend, who is a new dad and a somewhat new husband (almost married 2 years). He is Filipino American and all he wants is to encourage other husbands and seriously dating boyfriends to change their mindsets to better not only themselves, but their relationships! The website is still under construction but follow him on Facebook! + Lita Lewis - The first PI on my list (trust me I tried hard to find some PI bloggers)! Lita is a black, Samoan, and Tuvaluan health and fitness blogger. She does intense workout programs and is just beautiful all around. + Barbra Auva'a - Barbra isn't exactly a blogger with a website or Youtube channel, but she does post her workout routines and overall health journey on her Instagram. She's Samoan and New Zealander! + Diana Ratana - Diana is a yoga teacher from Seattle, WA and is super passionate about health, wellness, and traveling! Her blog focuses primarily on yoga and travel. + Angry Asian Man - This blog is run by Phil Yu, who is Korean American. His blog isn't like the other blogs where they just talk about their own thoughts on different topics, he typically posts news articles or uses news articles as a starting point to explaining his opinions on his blog. He aims to bring light to what is happening in Asian America, whether good, bad, or straight up racist. + Reappropriate - This blog is run by Jenn, and it is similar to Angry Asian Man in the sense that the blog focuses on talking about news happening in the Asian American community with the news being a basis for Jenn bringing up her opinions. The blog centers around activism, identity, feminism, and pop culture. + Jasmine Win Wanders - Jasmine is a Vietnamese American digital nomad traveling the world and writing about it. She's currently living in South Korea teaching English, and so she talks about the process of teaching English, destination guides, as well as her experiences as an Asian American in the world. 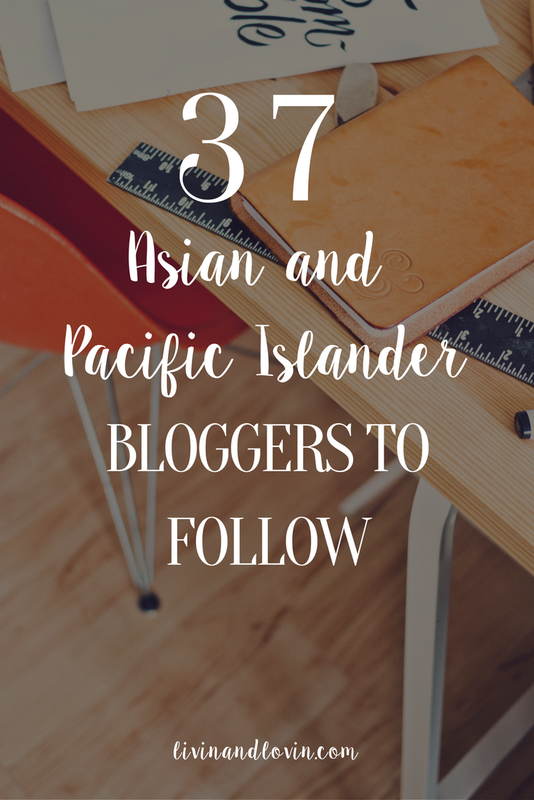 I really enjoy her blog and her post on where she fits in the world as an Asian American traveler! + Expatolife - Ha is the writer behind this blog, a Vietnamese woman whose blog centers around travel and living life as an expat. + Senyorita - Micaela is a Filipina from the Philippines, documenting her travels but focusing primarily on travel within her own country. It makes me miss the motherland! She also has an extensive list of international as well as Filipino travel bloggers as well! + Tara Lets Anywhere - This blog is about a Filipino couple, Katherine and Hali, documenting their travels around the world, also focusing on travel within the Philippines. + Air Keena - Keena is a Filipina and Chinese American blogger from Chicago and now living in LA! Her blog talks about everything travel--from the actual travel, things like Global Entry, and gifts for travelers. She posts more often on her Instagram than her blog so check that out too! + Wil Dasovich - Wil is a half Filipino from America and now living in his mother's homeland of the Philippines. His videos vary, from travel around Southeast Asia to his experience on Pinoy Big Brother (pretty much the Filipino version of the American show), his family, and more! + Garcia Memories - This is a mom & family blog run by Lysa, who is a Filipina American school counselor in Southern California. Her blog focuses on things to do in San Diego and other parts of Southern California, all family friendly as well! + Lora Says So - Lora is a Filipina educator based in Southern California with her husband and 2 kids. She is a 40-something mom blogger whose blog talks about things to do for both families and adults around the west coast, preparing for college, and lots of Disney! + Sparks of Magic - Sparks of Magic is written by Camille, a Filipina and black blogger based in Northern California. She writes a lot about Disney and family friendly activities! Okay wow I'm impressed with this long list! If you are interested in having this resource saved on your computer or if you would like to just have it printed out, I have also created a Blog Directory for you to download for free! It features all of the people featured here, plus clickable links to their sites as well. I plan on creating another directory of Asian & PI owned businesses (both online and local to certain areas) that will be sent out FIRST to my subscribers! I also have a project that I'm working on in regards to Asians and beauty standards that I will be sharing details with my subscribers first as well. If you are interested in seeing more of this kind of content as well as freebies for y'all whenever possible, sign up to my newsletter below!